Adults are about 1/8 inch in length and the color varies between tan, brownish, or brownish-black. The eyes are normally bright red. 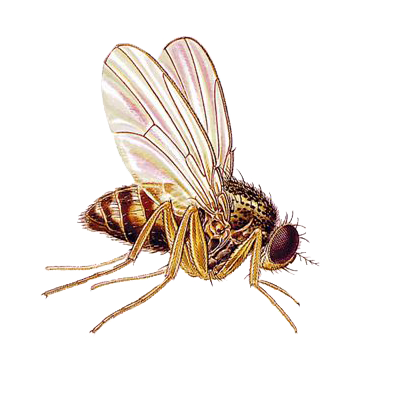 Fruit flies are drawn to fresh fruit and vegetables or where there is plenty of moisture and yeast.